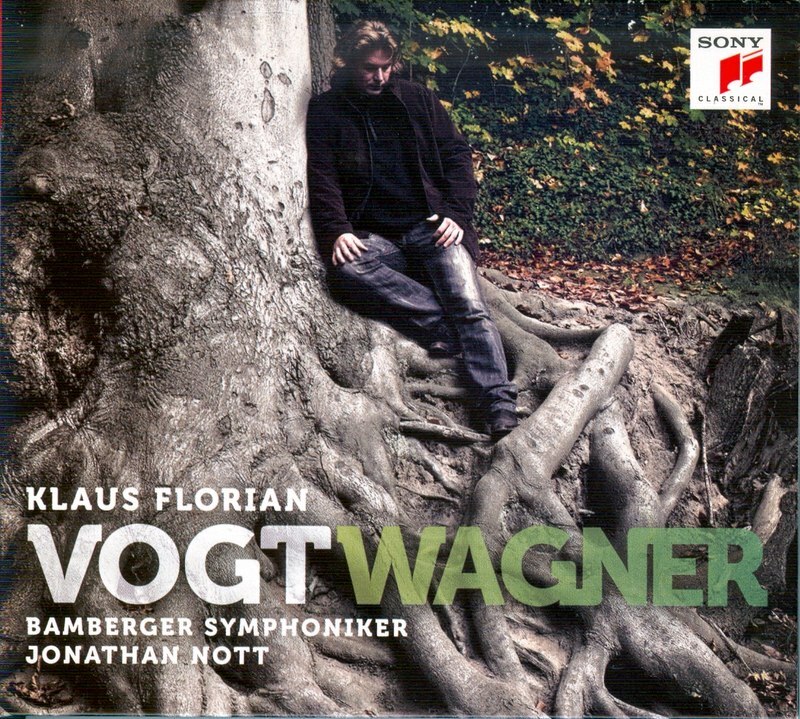 Klaus Florian Vogt’s Wagner was released in Europe in January, Jonas Kaufmann’s Wagner internationally this week. The former is, for Americans, a bit tricky to locate, and thus I have not heard it yet. Amazon does have it… out of stock. (It’s not available as a download as far as I can find.) The latter is on iTunes and Amazon and such. Siegfried and Rienzi for both. (The below will be old news for anyone who has heard these guys, but if you haven’t it should be interesting.) Vogt has an unbelievably pure, angelic timbre that sounds like it is not of this earth. On recordings his voice resembles a very light tenor, but somehow live he projects perfectly over a large orchestra (though as Siegmund I thought his low notes were lacking). He has lovely diction and tends towards dramatic understatement, making his singing hypnotically placid. 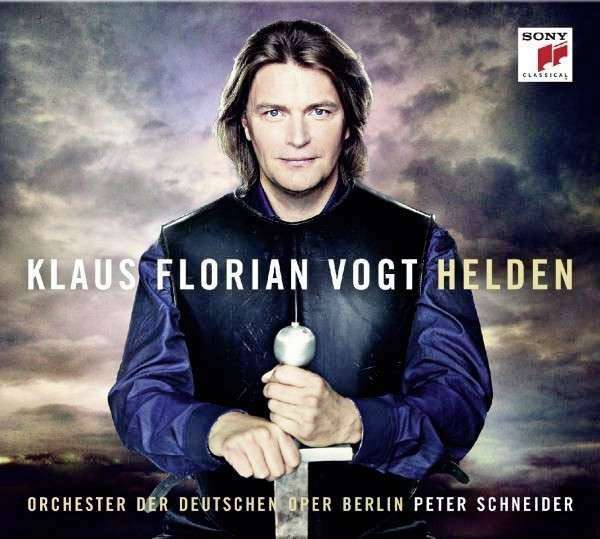 While he has sung Lohengrin at the Met (a while ago), most of his career is in Europe, as suggested by the minimal American availability of this CD. His most popular role is Lohengrin, here is his “In fernem Land” from Bayreuth in 2011. Andris Nelsons conducts. 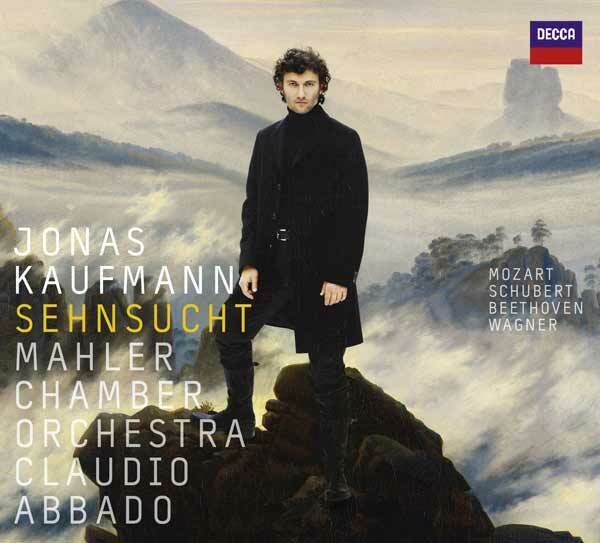 Kaufmann is the more internationally known quantity, and his voice couldn’t be more different from Vogt’s: forceful, dark, heavy, and yet still brilliant on the top notes. He tends to sing with great variety of colors and dynamics, as well lots of drama. Here is his “In fernem Land” from La Scala in 2012, you can hear and see the differences. Daniel Barenboim conducts. Annette Dasch is Elsa, as she is for Vogt above. 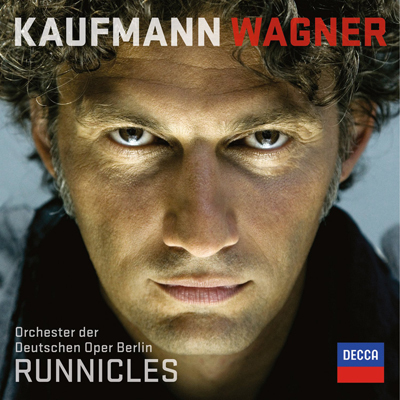 I don’t want to review either of these CDs yet (I just downloaded the Kaufmann and have listened to it only once so far–but the Tannhäuser and Siegfried excerpts both knocked my socks off). Meanwhile, let’s talk about something superficial that doesn’t require listening to anything: why do all these CDs have such odd cover art? Cast your vote for the “best” in the poll below. On his first CD, Klaus Florian wants you to join his cult. It’s like Scientology, but with more Leitmotiven. I went to the concert where he recorded this album, by the way, and I wrote about it. He didn’t wear armor. On his first Wagner effort, Jonas tries to revive the Victorian “living painting” thing. On his second Wagner CD, Jonas is auditioning for the operatic adaptation of Taken 2 (Getookt). Which CD cover is the most awkward/awesome? Thanks for this comparison. I really liked KFV in the Rat Lohengrin, and of course I have both of these JK discs. I think I will have to stand up to the challenge of finding the new KFV disc. Meanwhile, I look forward to your full review of the new JK. I am loving the Wesendoncks! It's the sword that pushes KFV over the top for me. I mean, I know there's a sword in the opera, but just look at him. Is that the expression of someone who just pulled a sword out of a tree? No? Then you probably don't need to have it on the cover. I agree about the sword, Cameron, though I assumed he was supposed to be Lohengrin in that picture. Oh, haha, that could be more plausible. Maybe I shouldn't be admitting this here but I haven't actually seen Lohengrin. Either way, though, his expression just makes me laugh. Interesting indeed, thanks! I had to go with the "Taken 2" stare because I Just Can't Ignore It, unlike the KFV-cult stare. 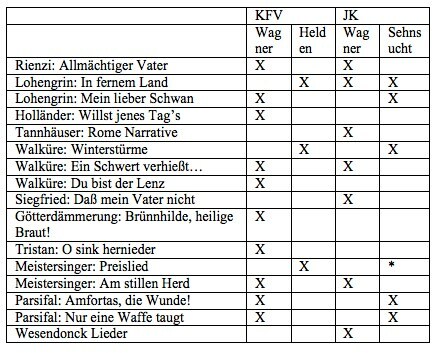 Also, points for the Parsifal-libretto joke. I laughed immoderately.